Moms strengthen their posterior chain, create new friendships, and heal their bodies postpartum in the BIRTHFIT Postpartum Series. But I do understand the logistics of the questions. Will the BIRTHFIT Postpartum Series benefit you if you had your most recent baby five years ago? It sure will! The course was designed for a woman who gave birth, and every birthing woman deserves a well-intentioned recovery postpartum. Her body, mind, and soul all need the love that the Postpartum Series offers. 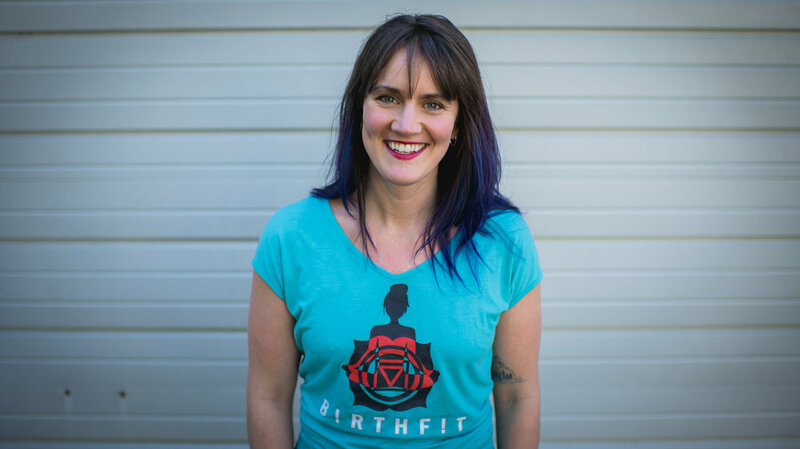 If you've given birth in the last three months, I recommend starting with the BIRTHFIT Postpartum Series Breath & Flow course, but you're welcome to join the traditional Postpartum Series as well. If you just found out you're pregnant, is it too soon to join the BIRTHFIT Prenatal Series? Wouldn't it make sense to wait until you're at least showing? It's never too soon; join as soon as you're ready! In the Prenatal Series, we cover all aspects of pregnancy, labor, birth, and the postpartum period. You'll create both a birth and postpartum preference sheet in order to help you navigate the upcoming events in your life. You and your partner will work together on establishing the intention behind the experience you are wanting to create. That can definitely take some time and finesse, so it makes sense to start early! And you are welcome to join if you are planning to conceive but are not yet pregnant. You can also begin Prenatal Fitness Training before pregnancy or as soon as you find out. Some women prefer to keep up with their fitness routines until they announce their pregnancy, but I think the sooner you start physically and mentally preparing your body and mind for the task of growing and bringing forth life, the better! Hope to see you soon; it will be the right time for you to be BIRTHFIT!